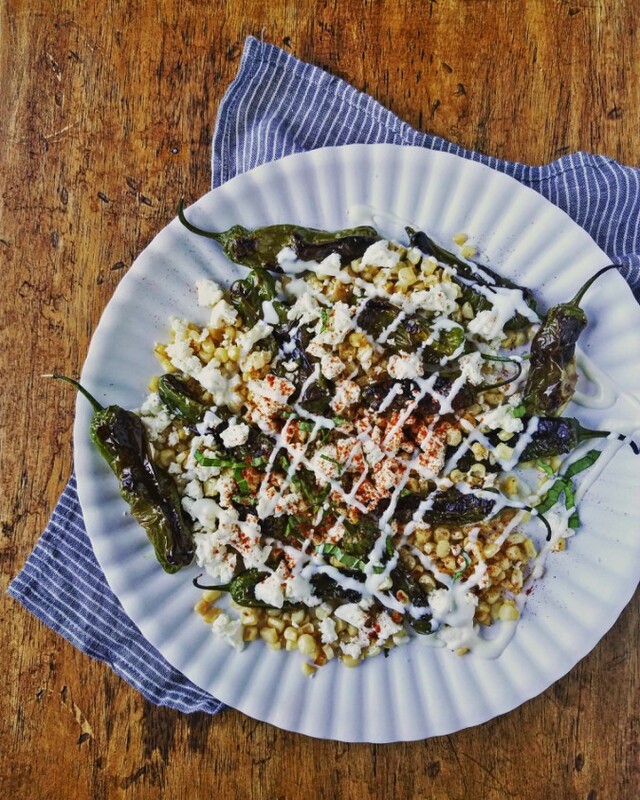 This Shishito Peppers With Corn, Feta, Crema & Bourbon Smoked Paprika was inspired by a recipe Washington's Green Grocer posted on their instagram and insta story. I changed a few ingredients and absolutely loved it! If you love Mexican corn, you need to make this dish while the corn is fresh and sweet. 1. Heat two skillets. Add olive oil. In one skillet add corn kernels and saute until golden. In another skillet, preferably cast iron, blacken shishito peppers. 2. Season corn and shishito peppers with salt and add to a plate. 3. Top with feta, bourbon smoked paprika, a drizzle of Mexican crema, and basil. The photo looks messy, but I hope you will still try out this combination of flavors.